The Keys-U-See USB large print keyboard is designed for those who have difficulty seeing the keys on a standard keyboard. There are two multi-coloured models for children. 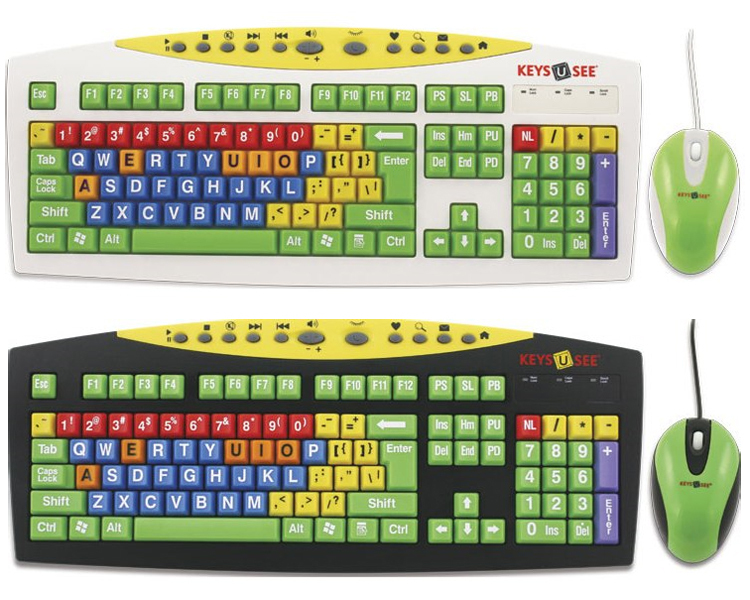 The Keys-U-See Large Print USB Keyboard also has 12 'hot keys' providing easy access to common functions. 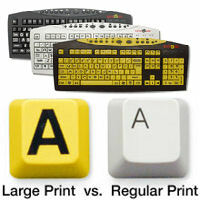 Keys-U-See has a full-size enhanced 104 key keyboard with standard layout, printed in big and bold 41 point typeface. It features high contrast colour keys in 3 color combinations: Yellow with Black Legends, White with Black Legends, or Black with White Legends. 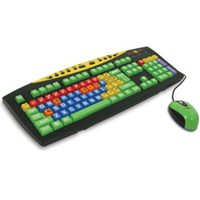 Keys-U-See for Kids keyboards feature bright, color-coded keys to reinforce learning vowels, consonants and numbers. The keyboard has large print on standard size keys and is in a 104-key QWERTY format, which makes it easy to change to other keyboards. A compact, colour-coordinated mouse is included.